This is the Github FastCGI Archives of FastCGI.com site. Since fastcgi.com is not available anymore, I (mcarbonneaux) created this repository and linked website fastcgi-archives.github.io to host the FastCGI information backup. 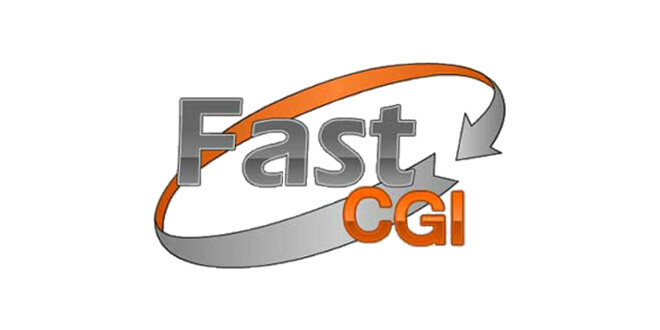 The original version from fastcgi.com, pulled from the Wayback Machine archive, at FastCGI-Archives/FastCGI.com github project. A markdown version, manually converted from the original, at FastCGI-Archives/fastcgi-archives.github.io. In FastCGI-Archives/FastCGI.com github project are the original last snapshot pulled from the Wayback Machine archive of the source of the fcgi sdk and mod_fastcgi apache module. In FastCGI-Archives/fcgi2 github project the source fork of the fcgi sdk. In FastCGI-Archives/mod_fastcgi github project the source fork of the apache mod_fastcgi module. This is not an official repository nor is it linked in any way to the original fastcgi.com website and FastCGI copyright owners. There is not much development on FastCGI because it is a very stable protocol / application. Frequently asked questions, examples and explanations. Describes the motivation for FastCGI, the FastCGI interface, FastCGI application roles, the FastCGI application library, and FastCGI performance. Why FastCGI applications often run faster than applications coded directly to Web server APIs. How to configure and build the kit, and write applications using the FastCGI application libraries. Programmer-oriented documentation for developers of FastCGI applications. The content overlaps considerably with the Developer’s Kit document. Defines the interface between a FastCGI application and the Web server. Position paper presented at the workshop “Programming the Web – a search for APIs”, Fifth International World Wide Web Conference, 6 May 1996, Paris, France. Two FastCGI related presentations given at O’reilly’s Open Source ‘99 Conference in Monterey, CA. A description of some of the functionality of the process manager in mod_fastcgi. I’m not sure how accurate it is. Open Market mod_fastcgi free, open-source Apache httpd module. The Development Kit - C, C++, Perl, and Java, libraries as well as assorted documentation. FCGI wrapper for Microsoft ™ IIS by Lyle Hopkins. CGI::Fast by Lincoln D. Stein. fcgi - Core library for implementing fastcgi application (responder role only). gofast - Library for implementing fastcgi web server. fastcgi - An extremely simple web server that serves a FastCGI application. node-fastcgi - Library for implementing fastcgi application (all 3 roles). Goanna Eiffel - The Goanna Eiffel project includes a native implementation of FastCGI for use with its web application libraries.